Giving to a nonprofit is one of the best ways to support a cause that you personally care about and help others in need. However, not all nonprofits are created equal. While there are plenty that are dedicated to good causes that affect the world for the better, there are others who just don't have as much of a positive impact. Or worse, are outright scams. So here I am, sitting at the computer, deciding what kind of great deal to do for Cyber Monday, just like everyone else. Heck, I even had a fancy little graphic made up for it. 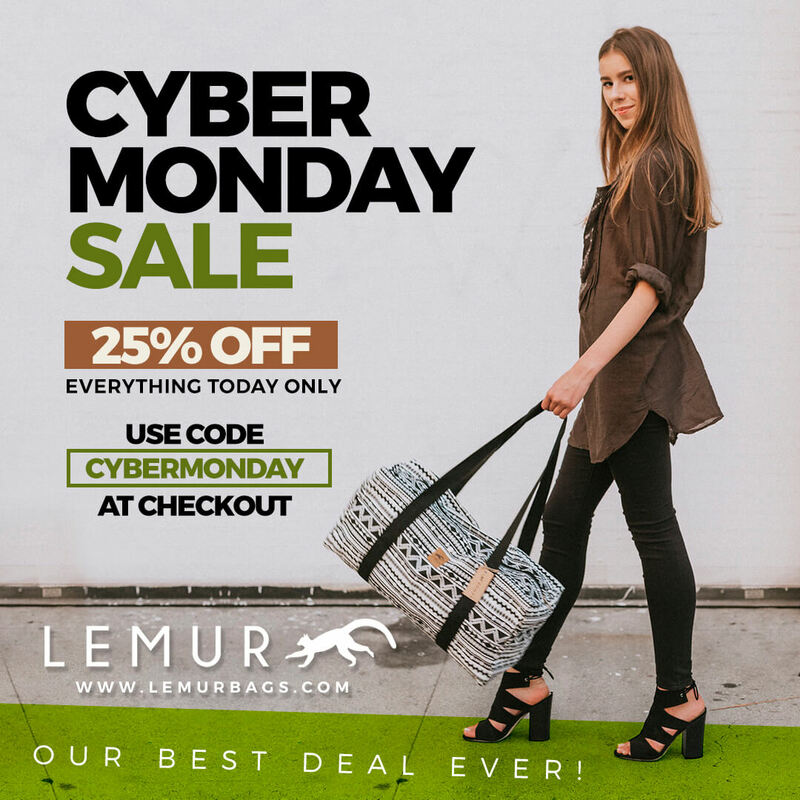 But then I said to myself, "Self, Lemur Bags is about saving lemurs, not a few bucks." So I have something even better for you. As the harmful effects of human waste and contaminants become more well-known, more people around the world are looking to find ways to take part in the conservation movement. What you wear makes a statement about who you are. You show your personality as well as what you love. If being eco-friendly is one of your priorities, you can show off your love for the environment in many ways through your clothing and accessories. Companies that give back to the environment aren't always the easiest to find, although more and more are popping up lately. Efforts include using energy-efficient machines, producing less waste and pollution, as well as using recycled materials. Even the smallest efforts can improve the large carbon footprint generated by these huge corporations.